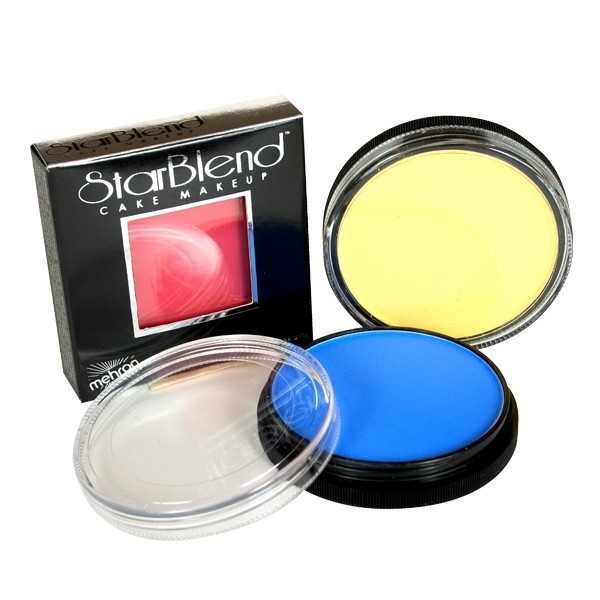 Starblend is a pressed power makeup that is perfect for use on hot humid days when kids are likely to sweat. It's also great for those fussy children who don't like the feel of a wet brush. Starblends can also be used wet, but be warned, once you have wet them, you can't use them dry again unless you shave the top off. Great for bases for stage and theatre where hot lights may cause sweating. Face paints also apply over the top of starblends.